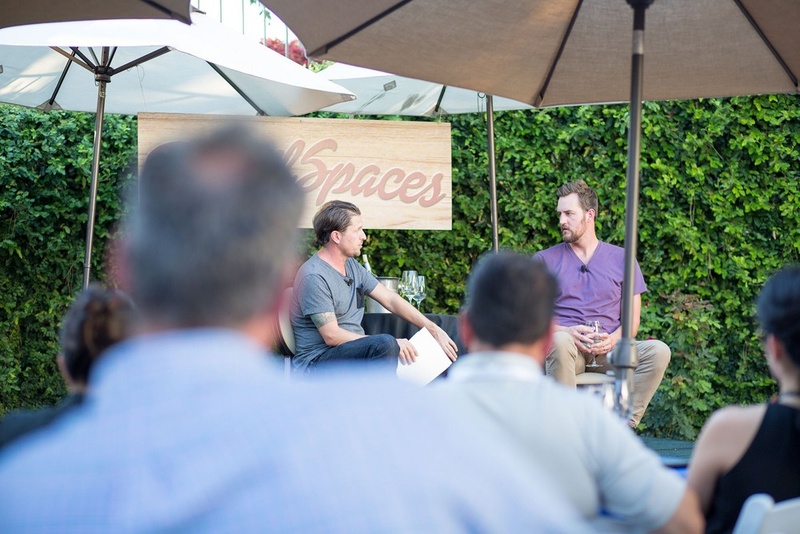 In our ongoing quest to bring you the brightest and most innovative minds in real estate and buildings, we were fortunate to have Miguel McKelvey join us at RetailSpaces Napa. 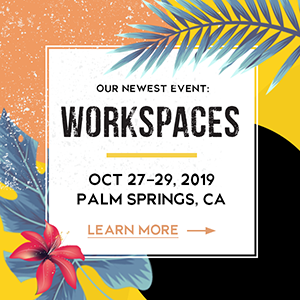 Miguel is the co-founder and Chief Creative Officer of WeWork, a company that provides collaborative workspaces and services to entrepreneurs and small businesses. WeWork is one of the most valuable startups in the world, most recent valuation at $10 billion. 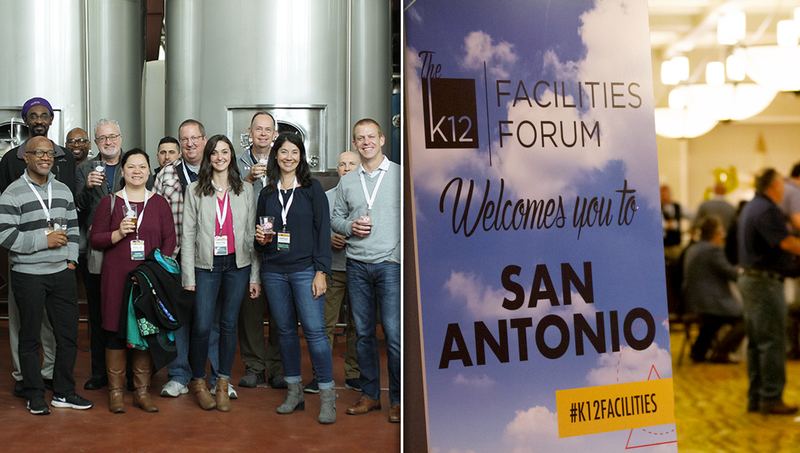 What's most unique about the company is its culture. WeWork refers to the people who rent space from them as "members". This is deliberate. They didn’t want people to have the tenant-landlord relationship in mind when coming into their space. This helps to foster a sense of responsibility toward other members that is sometimes missing in a conventional, shared rental space. WeWork not only provides space to its members, but also a sense of community, a place to foster ideas, and a place that already has the infrastructure and services in place to run a business. This allows members to focus on driving their businesses forward rather than worrying about Time Warner showing up to install internet access. If you’ve ever worked from home for a long stretch, you know how valuable those first two things are. It can get lonely and sometimes even simple problems don’t seem to have a solution when you have no one to bounce them off of. And if you’ve ever had to deal with Time Warner yourself, you know how important the last one is! Our company, influence group, started in a WeWork space. We were immediately sold by the forward thinking design and culture. Miguel learned about the power of culture and brand when he worked for American Apparel. Customers related with the branding, that the clothes were made in America, and that the employees were treated well. So they were willing to pay $16 for shirts that cost less than a dollar to produce. Miguel shared that his experience in retail prepared him for the rapid growth at WeWork. The costs associated with the store rollouts that Miguel managed at American Apparel taught him to go all the way back to the source: understand where materials are coming from, why they cost as much as they do, and what can be done to lower these costs. These are all important things when you’re buying mass quantities of anything, whether it’s wood flooring or cotton. Because WeWork is growing so fast, adding hundreds of employees, millions of square feet, and locations in new countries, the company has to constantly reinvent itself. They recently acquired the company Case, a building information and technology firm which was consulting for them, so they would have exclusive in-house access to advanced design thinking. ”We acquired Case, one of the leaders in BIM technology for architecture; who worked with many companies, like Apple and leading retailers. The core reason we acquired them was because they were so focused on systems. We brought them in house to influence literally our entire company, not just our architecture and design department. 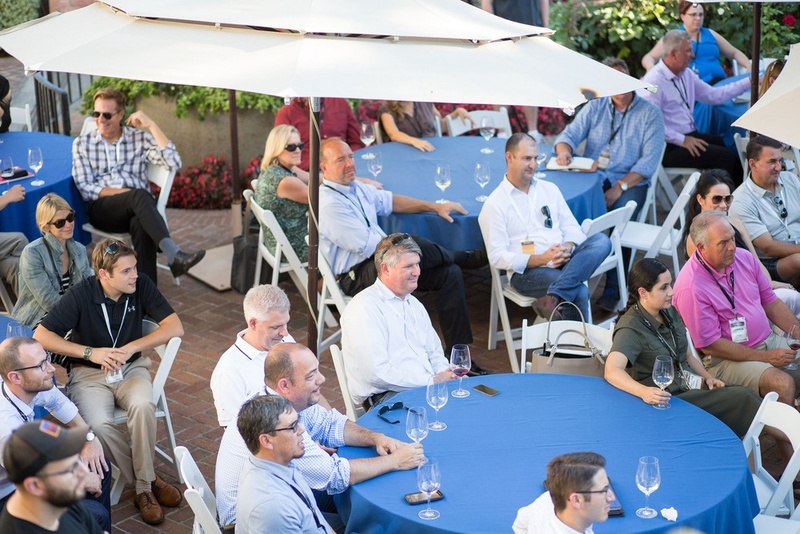 It was a real big move for us as it helps us have people who think as systems analysts. Culturally it's a huge benefit.” said McKelvey. 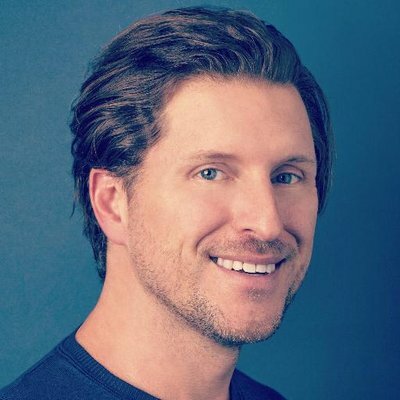 WeWork is the “cool” company on the block right now largely due to the diversity of their members and culture that WeWork promotes. As they scale, there is a risk of losing that. The company is trying to learn what attracts that diversity so it can be recreated in other places. WeWork West Broadway in New York City. Green Desk was the original iteration of WeWork and it was based on the idea of a sustainable work space. Currently, while not being as sustainable as they would like to become in the future, WeWork has put several green building practices in place. Much of the construction is glass and aluminum which are recyclable and easy to take apart making for less waste during demolition. One of the challenges WeWork is facing is how to refresh their locations as they grow. McKelvey was honest and said that how to go about upgrades is a work in progress. Competitors are popping up and WeWork wants to remain the cool kid on the block and not become stale or complacent on the back of past success. 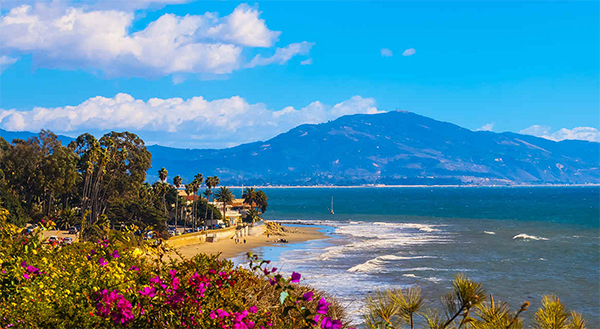 ‘’Our location in San Francisco is one of our oldest. The members really love it - but we really hate it because it’s dated. It's painful for us because it doesn't really reflect who we are now. So he upgrade costs of our locations is a great question. Is it a hundred thousand? Is it five hundred thousand? We just have no context to decide on". He went on to say that WeWork looks to hire people with relevant experience, especially those with retail and hospitality backgrounds. McKelvey grew up in Eugene, Oregon, where Nike started. He saw the transformative effect that Nike had: you didn’t have to be an athlete to do athletic things. WeWork wants to have that transformative effect on the business world "you don’t have to have a huge bankroll behind you to start a business". Starting a business should be open to anyone and WeWork wants to be the catalyst for that mindset. Perhaps the next big thing for WeWork is to take the concept they have applied to the work space and apply it to the residential space. McKelvey couldn't elaborate, but it has been widely reported that WeWork plans to go beyond co-working with a "co-living" spaces. Following your passion shouldn’t mean “sleeping on a sheet of plywood for six months” said McKelvey. WeWork has sorted out your workspace. WeLive (rumored name) hopes to sort out your living space. 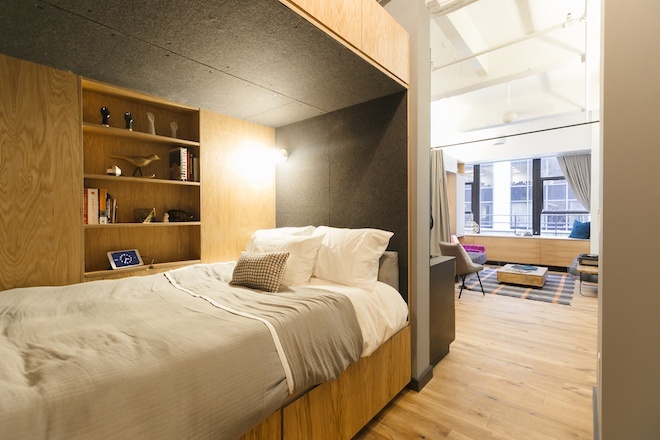 Image of recently opened co-living space connected to WeWork Wall Street. Most of WeWork’s spaces are leased, although they do own one building in San Francisco. Real estate development is a business "but not their business" so they leave that to the experts. WeWork is involved in a ground up project in Brooklyn Navy Yard that recently broke ground but only from a creative perspective. They will be tenants in the finished building. 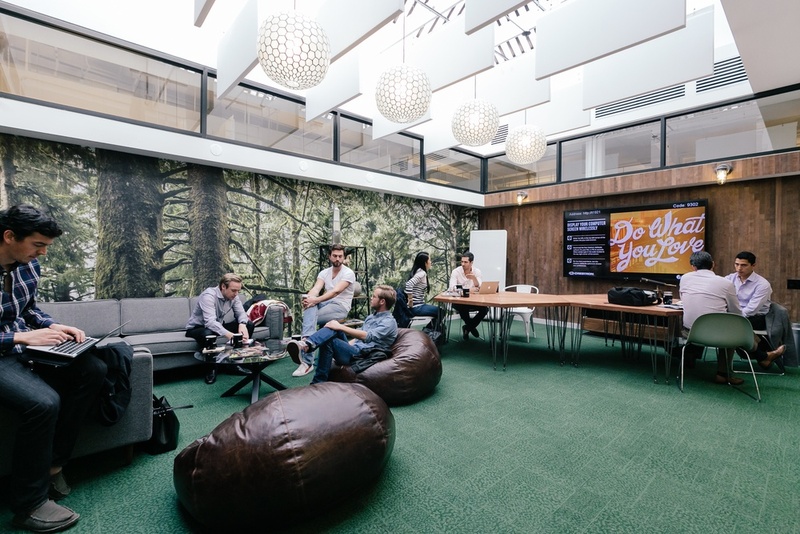 WeWork saw a need and not only filled it, but tailored their spaces to meet needs members sometimes didn’t even realize they had. Because sometimes, you just really need someone to go out to lunch with.